I'll state up front that A Gambler's Story was not the film I was expecting it to be. I was expecting much more in the drama department and less in the quirky comedy. I was hoping for more in the drama department as that is an area of acting that Francis Ng often shines, not comedy. As the title of the film may suggest, this is a film following the life of an addicted gambler, through all the ups and downs that it brings. Most of the story is told through voice overs from Francis Ng's character Suki and through this delivery we learn of his reasons for gambling and his rollercoaster analogy for the life of a gambler. I'm personally not the biggest fan of voice overs in films. I concede they can be used effectively but too often, and it is the case in this film at times, they are used to conveniently further the plot or give key information to the viewer. For me, this is laziness on the scriptwriter's part as through events in the film the viewer should be told all the information they need to know, in a less contrived way. With some unengaging side plot threads and typically Hong Kong film quirky humour, A Gambler's Story fails to hit the mark on many levels. The humour prohibits much empathy or sympathy being developed for the characters on screen. Laughing, or cringing cause of the poor humour as is often the case, doesn't let the viewer relate to what the characters are going through. They are merely seen as objects to laugh at (or with), not to care for. Performances from the leads are rather hammy in places and certainly not anything as good as they've done in other films. Where the film does pick up considerably is in its ending. It seemed to me that the writers and director had decided to forget about the preceding 90 minutes and film something that was quality film drama, with some hard hitting, emotional and unexpected moments. I was left surprised and shocked by the ending and at that point for the first time, with added help from his best acting scene in the film, I finally felt some sympathy for Francis Ng's character, Suki. Why the rest of the film couldn't have been of this standard, I don't know, but it is a definite shame that it wasn't. Aside from the ending A Gambler's Story is so mundanely average, neither greatly entertaining nor overly boring, I can only recommend it if you have an hour and a half to kill and nothing else to watch. The 5.1 soundtrack is a bit of a mixed bag. There is some great use of the rear speakers and surrounds, with the audio following the action off the screen. If this was a 5.1 mix of a stereo or mono original, they've done very well in some areas. Other parts weren't quite so good though. For about a third of the film I noticed a rather distracting low level bass accompanying a lot of the speech and other noises on screen. At first I thought it was something wrong with my subwoofer, but it wasn't. It was as though there was a noise 'reflection' at either the high frequency end of the subwoofer's range, or the low frequency end of my speaker's range every time there was a noise on screen. This was very annoying and distracting, but fortunately not present throughout all the film. Just about a third or thereabouts in the middle of the film. 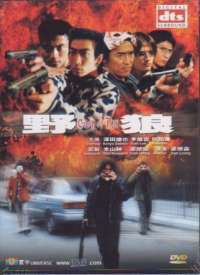 The subtitles are typical of earlier Hong Kong DVDs. They get the point across but are littered with spelling and grammatical errors. There is also some Chinese text on screen, like in newspapers, that is important to parts of the film, but it is not subtitled in English. That's annoying! The film print is largely clean, which was a bit of a surprise, with no real noticeable blemishes or speckles. Colours seem decent although not overly vibrant; detail is fairly soft and in some high contrast moments there did seem to be a little colour bleeding. 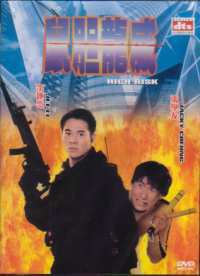 Overall I'd say it was fairly typical of an old DVD from Mei Ah. First off, there is no time coding on the disc so if you are someone like me who likes to have your DVD display showing the time remaining, you'll be disappointed here. For extras there is the typical standard bag - trailers for two other films on the Mei Ah catalogue, cast and crew filmographies and the film's synopsis. This is another film that joins the masses of not that great films that I've watched of late. It fails to titillate, humour, entertain or engage the viewer until the very end, which while a good ending, doesn't make up for the 90 minutes that came before it.